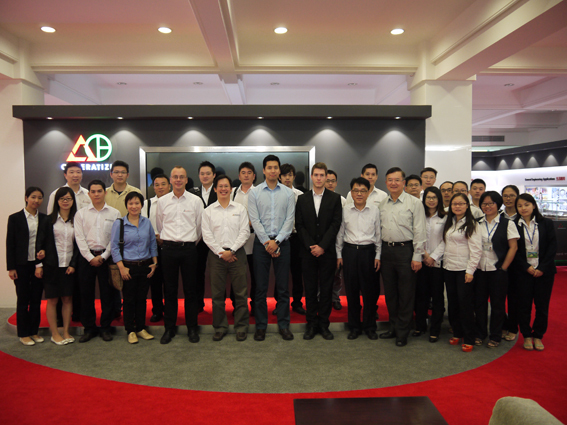 On 19.11.2015 the asian sales meeting for Wood and Stone in xiamen took place. Togehter with Mr. Dr Rolf Köstner and Mr. Frank Ning from Luxemburg the meeting started on time at 08:30. There were serveral presentations about different subjects like the evolution of the chinese market and also the gaze in the future for wood and stone applications, for example the use of chrome material. Lecturer in this meeting were: Leo Wu, Dr. Rolf Kösters, Frank Ning, Simon Liao und Helene Muller.